Where do RNs search for jobs? Fusion’s Research and Analytics reveal surprising results. Fusion Marketing Group’s Advanced Analytics has tracked over 4 million visits to hospital career websites and we’ve learned that 9 out of 10 healthcare professionals bounce away from hospital career websites without even starting an application. We decided to find out why. To explore the why’s behind the big data, we conducted a national survey of RNs to explore the methods they use for a job search and how they interact with hospital career websites. The findings helped us to refine the solutions we offer – and resulted in a radically different approach to healthcare recruitment. 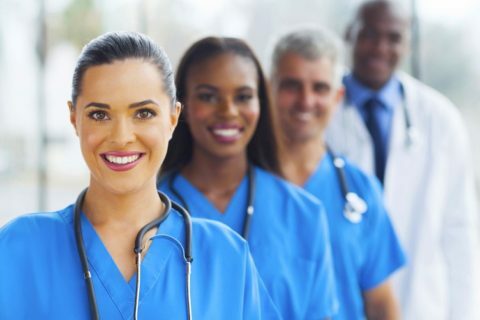 The target audience of nurses, allied health professionals and physicians require special handling because the industry is unique and the way they go about looking for jobs is different. First, most RNs already have a few facilities in mind when they begin their job search and they start their search by going directly to the hospital’s website to explore their open jobs. As high as 85% of a hospital’s career site traffic could be coming directly to the site, or finding the site through a search of branded keywords (search terms that include the hospital name). The second important finding was that if the right position isn’t available when they visit the website, they will leave the site without applying. We’ve seen website abandonment rates as high as 90%. The RNs you need to hire may be visiting your website…and leaving without you even knowing they were there! Simply advertising open positions just doesn’t work anymore. Healthcare professionals have too many options and distractions. Recruiters need marketing that goes beyond posting openings. They need targeted marketing that engages and motivates and converts website visitors into candidates. We’ve found a few strategies that drive conversions. Retargeting – reach potential candidates who visit the site and don’t convert with online banner advertising. We find them wherever they are, spark their interest and bring them back for a closer look. We’ve found that 43 percent will complete their application after the second visit. Build leads through forms – give potential candidates the option to fill out a form rather than an application. Then segment those leads so recruiters can contact them directly or through a remarketing email program. Customize website content by audience segment – enable your site to detect visitor segments – mobile, geo, returning visitors, etc. and customize the experience based on the those segments. We’ve seen nearly 100% lift in applications initiated through the testing of different website experiences for return visitors. Stay tuned to the Fusion Blog as we continue explore the path to a new job.